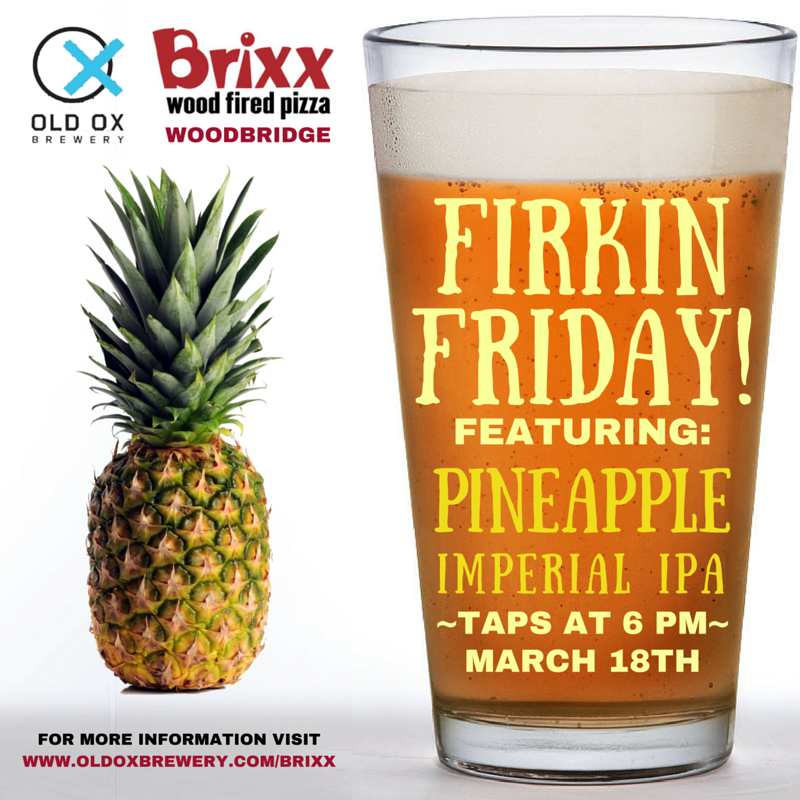 Come join us Friday, March 18th to unwind and have a great time with at Brixx Wood Fired Pizza in Woodbridge! We’ll be featuring a cask of our Pineapple Infused Kristin’s Envy Imperial IPA! You can’t get this beer anywhere else!